Holy Hieromartyr Theodore of Adjara belongs to the glorious multitude of Adjaran faithful who were martyred at the hands of the Ottomans. 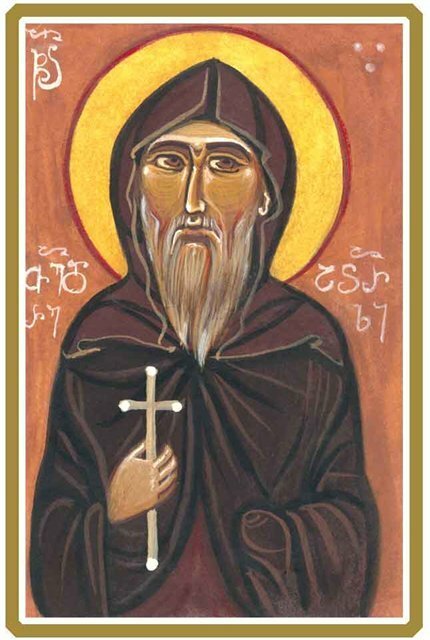 Saint Theodore was born in the late 18th century. At that time the Ottoman invaders had nearly completed the forced Islamization of the Adjara region. They had already annihilated those who resisted the conversion and were beginning to evict those who, in spite of their apparent acceptance of Islam, continued to “arouse suspicions.” Some abandoned their native region and fled to foreign lands. Saint Theodore was born to a family that had been forced into exile. From his childhood he watched his fellow countrymen, who had been forcibly converted to Islam, secretly retain their Christian way of life (as Crypto-Christians). It is unclear how the Saint’s family settled in Trebizond (modern Trabzon). It is known, however, that Saint Theodore managed to free himself from Islam, receive Christianity, and find refuge at a Georgian monastery in Smyrna (now Izmir). There he was tonsured a monk and later raised to the rank of proigoumenos (deputy abbot). It is also known that Saint Theodore converted his nephew to Christianity during that time. In 1822 Saint Theodore set out on a pilgrimage to Mount Athos. But at the same time the Ottomans were attempting to crush the Greek independence movement, and the Holy Mountain was surrounded by Ottoman soldiers. They captured the faithful pilgrim and killed him. Then they tossed the holy martyr’s body into the sea. The Holy Synod of the Georgian Apostolic Orthodox Church canonized Holy Martyr Theodore on October 17, 2002. From Lives of the Georgian Saints, Tbilisi, 2004.